For many years I wanted to make ceramics and sell them at the market but I kept getting sidetracked again and again. 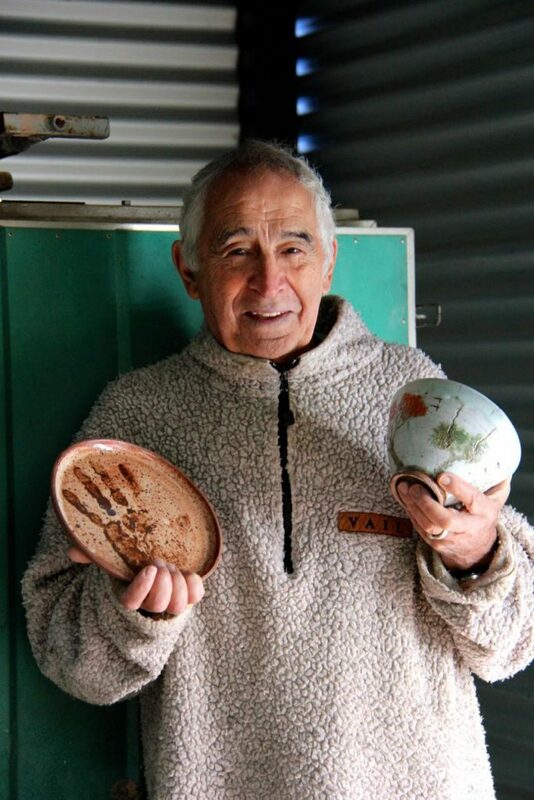 I first started learning pottery at Newport on Sydney’s northern beaches in 1975 but soon got involved with starting a mail order business and then with Project Jonah’s Save the Whale campaign. In 1978 I registered Greenpeace Australia and placed advertisements opposing the slaughter of baby seals in all major Australian newspapers. Five years later I re-started Simply Living magazine, which at its peak, had a circulation of 35,000. My life was absurdly hectic. It got worse. I was elected as a Democrat Member of the NSW Legislative Council in 1988 and stayed for fifteen years, negotiating to save old growth forests, create new marine parks, protect Aboriginal rights and represent battlers from all walks of life. During that time I met singer Sting, and as a founding member of the Australian Rainforest Foundation, together we persuaded Prime Minister Bob Hawke to part with $250,000 to help create the giant Xingu national park in the Brazilian Amazon. After my parliamentary term ended in 2003 I was finally able to get back to what I had wanted to do all those years before. My wife Jo and I decided to learn ceramics together as a creative project. We learned to throw pots and glaze and reduction fire with Lucy Vanstone in Brunswick Heads and went on to learn from other accomplished NSW Northern Rivers ceramists. I’ve been working at it ever since. Guess what? My life has come full circle and I now make and sell ceramics at markets. With climate change uppermost in my mind, and to offset the materials and fuel I use to make ceramics, a donation from each piece I make helps to saves rainforest. I give a portion of each sale to the Rainforest Trust who have saved or acquired rainforest all over the world. People who have bought my pottery have helped to save thousands of acres of forest in Peru and Sumatra. Every firing I do currently buys around 50 acres of forest in Sumatra – habitat for orangutans, tigers and other endangered species. I want to give back to the environment more than I take.